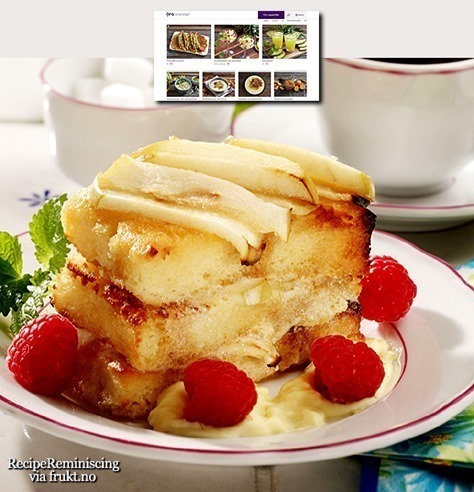 A delicious cake – with apples sauce, apple sticks and Custard. This cake will save the Sunday every time. 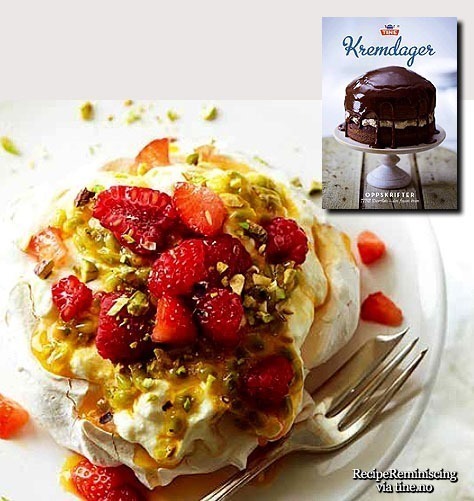 Pavlova cakes are named after the Russian ballet dancer Anna Pavlova. The Pavlova cake is flaky, crispy and melts in the mouth. A success at any party and a cake that’s easy to make. A temptation on any coffee table. Most everybody thinks of spaghetti when Italian cookery is mentioned, but few persons are aware of the fact that the little tart which fills such an important place on our dessert list is almost as popular in some parts of Italy as the well-known spaghetti. 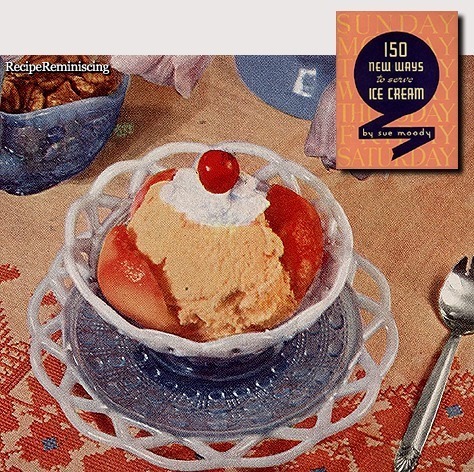 A most delightful way of serving ice cream is with fruit. Fresh or canned fruit may beused and the amount of sugar varied as necessary. 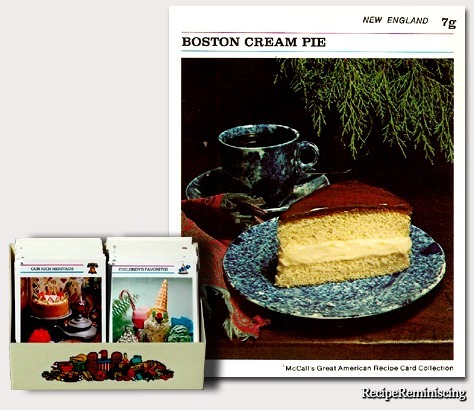 A little whipped cream or soft custard is a pleasant addition. 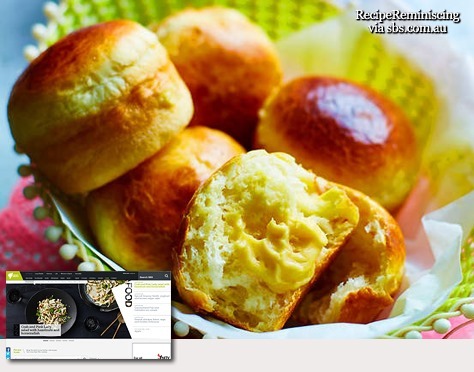 A delicious baked dessert sweetened with sugar, maple syrup or honey. 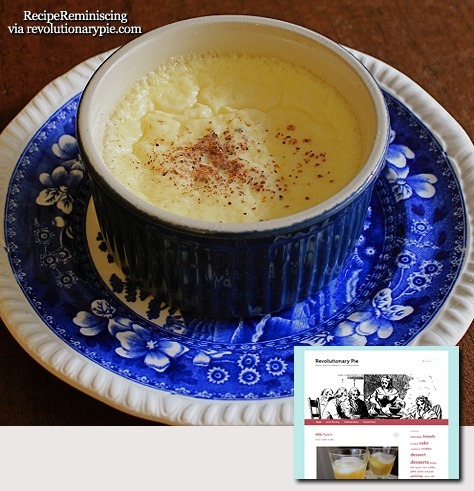 Karen Hammonds who runs Revolutionary Pie writes: Modern custard recipes usually call for vanilla, but that wasn’t used in America in colonial times. 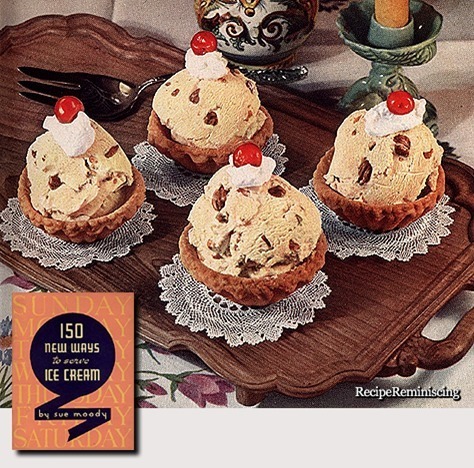 Thomas Jefferson first brought vanilla beans back from France in the 1890s, and as Richard Sax noted in Classic Home Desserts, vanilla extract wasn’t widely available until the mid-19th century. 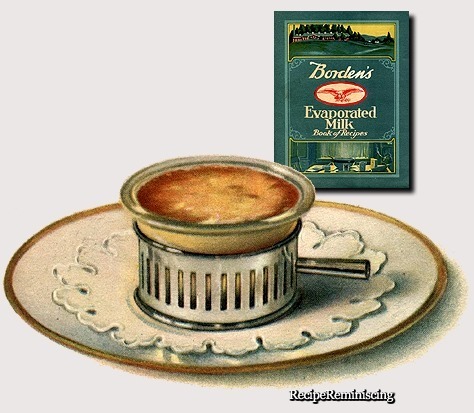 Eighteenth-century custards were flavored with wine or brandy, tea, or spices. I added nutmeg to Simmons’s recipe since it seemed so bland — but I guess that was sort of the point. 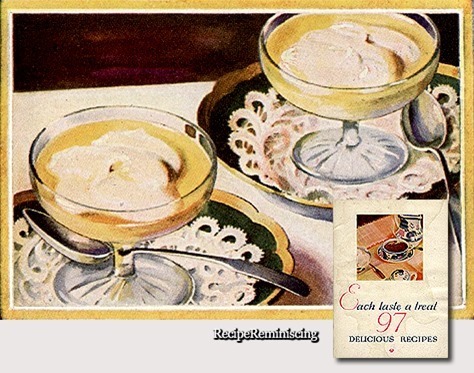 A custard recipe found in “32 Entirely New & Original Lutona Cocoa Recipes” published by E & S Jt C.W.S Ltd in the 1930s. 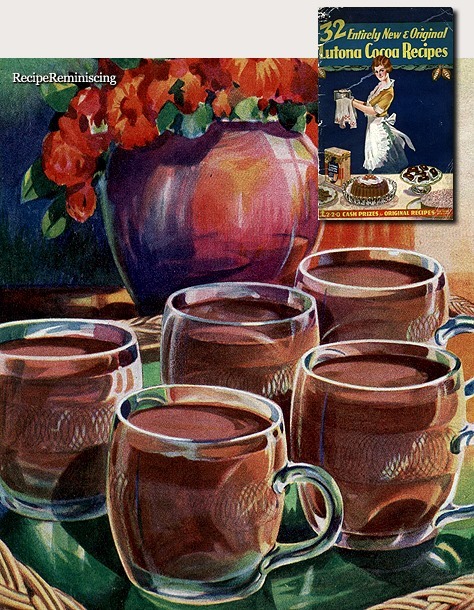 Text from the booklet: Everyone knows that the most nourishing, most sustaining and appetising hot beverage in the world is Cocoa. Everyone knows it as a beverage that may be freely partaken of at any time of the day by children and adults alike, without fear of indigestion or ill effects. But the Cocoa you drink must be the best. and there is no ﬁner Cocoa in all the world than Lutona. Lutona is made from the choicest varieties of cocoas grown under ideal conditions and matured in Society’s own Depots in West Africa. Every phase of its manufacture is under the direct control of the Society and the most rigid precautions are taken to ensure that the natural purity and full food value of the cocoa are retained. 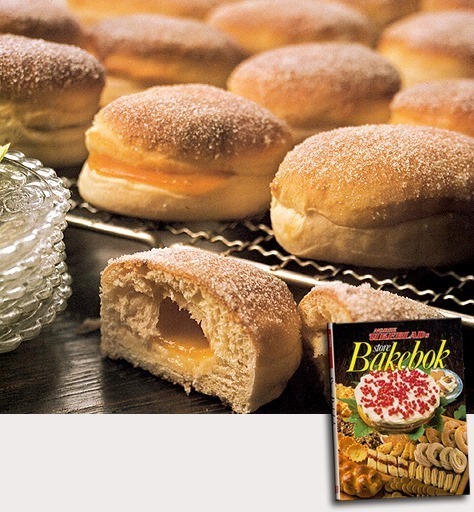 Hailing from the northern Philippine island of Camiguin, these soft, golden brioche buns are filled with a rich and sweet pineapple-flavoured custard. 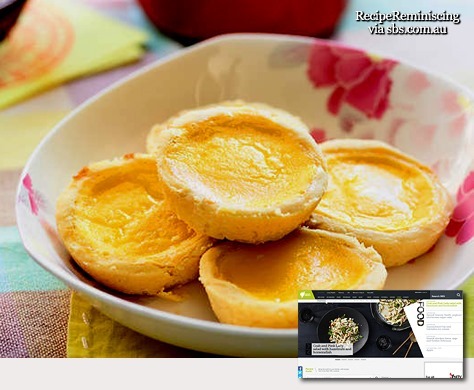 These Chinese tarts feature a very soft, light custard and a delicate, crumbly pastry that melts in your mouth. You will need a 12-hole (⅓-cup capacity) muffin pan for this recipe. 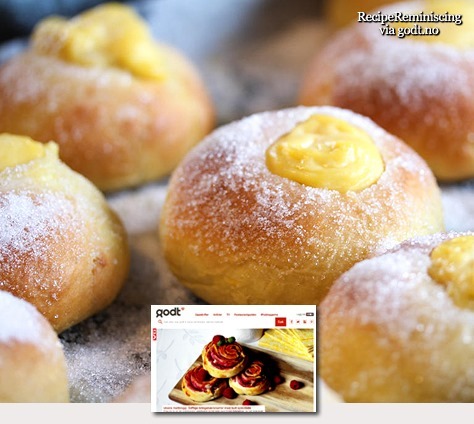 Yeast baking with saffron looks great and smells wonderful and is certainly not reserved just for “lussekatter” the traditionally Scandinavian cakes made for Saint Lucy’s Day. Here you got big round saffron buns filled with custard. The taste of saffron and vanilla goes very well together, so this is a very successful combination. 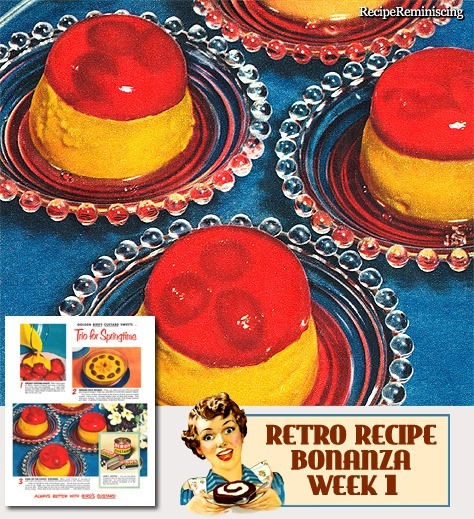 This red fruit pudding is a popular dessert in the North. 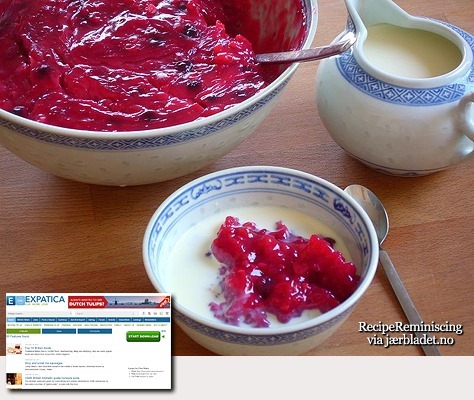 It’s made from black and red currants, raspberries and sometimes strawberries or cherries, which are cooked in their juice and thickened with a little potato starch or cornflour. It’s served with cream, vanilla sauce or milk.